Saint John Council pushed through changes to the city's Heritage Development bylaw Thursday night in a move designed to give a green light to Irving Oil Ltd's plans to construct an office tower on King's Square. The outcome has opponents crying foul over the fast-track process by which the approval was given. According to city planning staff the amendment process would normally take two to three months. It was collapsed into three weeks to ensure the company could begin construction as soon as possible. Councillor Donna Reardon, who sits on the city's Heritage Development Board, cast the only dissenting vote. Irving Oil Ltd's planned office building is to be built in a heritage-designated zone on Saint John's King's Square "I can't vote for this amendment tonight because I don't agree with what's happening here," said Reardon, speaking directly to Irving Oil senior executive Jeff Matthews, who was sitting in the public gallery. "I think you've got an amazing project. It's all good but, I'm sorry." Speaking to reporters after the meeting, heritage advocate and neighbouring property owner Jim Bezanson said he still hopes city staff or Irving Oil representatives will sit down with him to talk about the project. "At the present time I'm going to be on a holding pattern," said Bezanson. "There is no statute of limitations on challenges under the Canadian constitution." Bezanson's appeal in early April to the New Brunswick Assessment and Planning Appeal Board effectively stalled the project. A concerned Mayor Mel Norton and members of council then instructed city staff to find a way to get construction plans back on track. The amendments appear to do that. 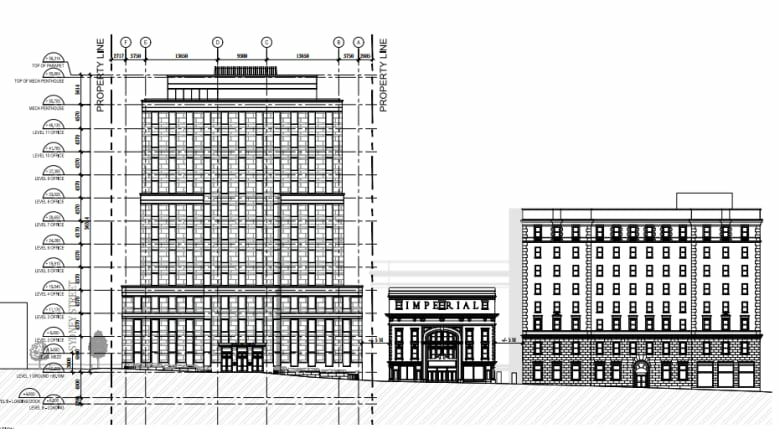 They create new heritage rules specifically for the Irving Oil property at 30 King Square South, allowing an 11-storey building with increased setback from the sidewalk as proposed by the company. Jacqueline Hamilton is the city's commissioner of Growth and Development. 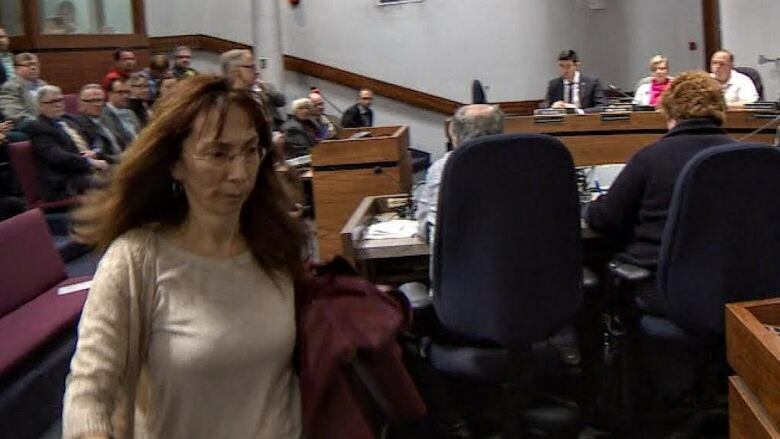 She told councillors the office building fits the philosophy of the city's new municipal plan. "PlanSJ directs the highest density of employment and mixed use growth within this area," said Hamilton. "The project is consistent with the municipal plan which embraces principals of sustainable urban growth building up and not outwards." There were fireworks earlier in the meeting, particularly when south end resident Wayne Dryer attempted to speak against the way the bylaw amendments were being made. Central Peninsula resident Wayne Dryer tried to speak against the fast-track process to amend city heritage rules. "Not in this way, after the fact," said Dryer. "This process is wrong." 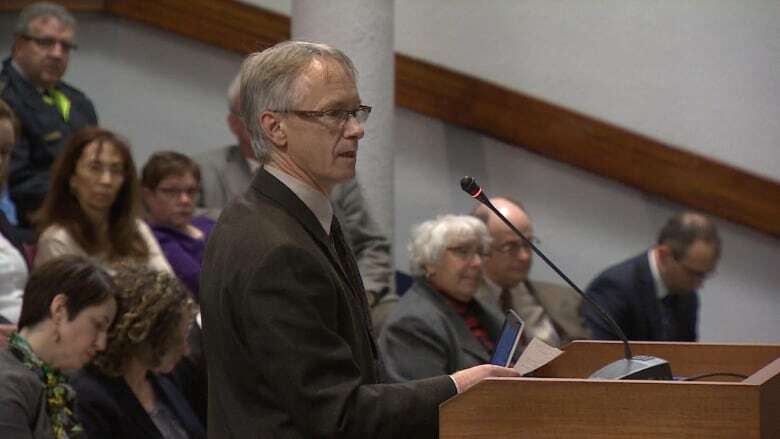 Dryer's remarks were interrupted by Mayor Norton who told him he had to limit his comments specifically to the contents of the proposed bylaw amendments. "My comments speak specifically to the process," said Dryer. "If I can't speak to the process I have nothing to say." Mayor Norton then thanked Dryer, bringing his presentation to an end. "How dare you!" shouted an unidentified woman in the audience. "He had some good points to make, let him make them." The woman was ordered to leave the chamber. City resident Randall Goodwin watched the entire public hearing from the gallery. "Council did the right thing, and the justifiable thing with what the people of this city want," said Goodwin afterward. "They want that project to move forward." Third reading of the bylaw amendments is expected to be approved at this coming Monday's regularly scheduled council meeting.